We are engaged in offering Telecom Shelter which are manufactured using the finest raw material and highly sophisticated technology in accordance with the industry standards. Built near telecom towers, these are used for the purpose of controlling several operations. These shelters are efficiently designed considering the heat generated by the enclosed equipment and environment temperature variations. In order to deliver flawless product to the clients, our offered shelter is severely tested on various parameters. By our experienced professionals, the offered Telecom Shelter is manufactured using pristine quality raw materials and the pioneering technology in adherence with set quality standards. 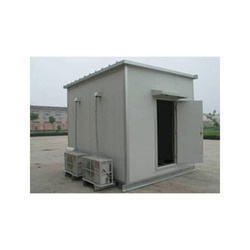 Used as operational center of mobile tower, offered shelter is provided in various capacities and other specifications. Additionally, clients can purchase this shelter at reasonable prices from us. With keeping quality as prime concern, we are providing Railway Shelter. Itis precisely manufactured with the use of excellent quality raw materials and the contemporary techniques. Having maximum space, the offered shelter is used for proper installation and fixing of railway equipment to ensure their protection and hassle free working. Moreover, clients can avail this shelter at highly competitive prices from us. Prefabricated Railway Shelters to the clients. Offered range is easily portable and is broadly demanded by the clients of several industries. This product is extensively used in diverse areas like colleges, industries, schools, bus stands, railway station, etc. We are the reliable manufacturer and supplier of the Prefabricated Shelter. 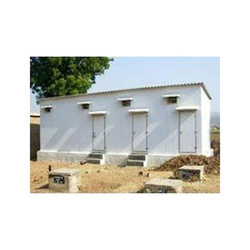 These shelter are manufactured from high quality raw material procured from the reliable vendor as per the industry standards. We designed these shelter as per the specification of the client. Moreover, client can availed these product at competitive prices. E-Pack is one of the pioneers in manufacturing and installation prefab structures like staff accommodation, worker accommodation, labour hutments, etc. E-Pack design a customized layout for all its clients as per their requirement and land availability. 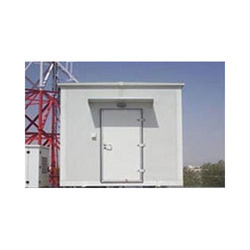 Widely used for accommodation of sensitive telecom equipment, the provided BTS Shelter is highly cherished by the clients of electronics and telecom companies. This shelter is manufactured with the use of quality approved components and the sophisticated techniques in tandem with set industry standards. Also, our quality professionals check this shelter on different aspects to save it from any possibility of defect. 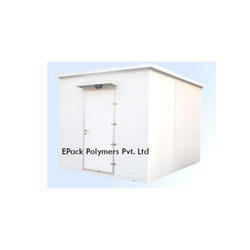 Moreover, patrons can purchase this shelter at highly competitive rates from us. 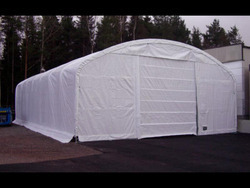 We are one of the profound manufacturer and supplier of Temporary Shelter.Our offered shelter are manufactured from high quality raw material procured from the reliable vendor as per the industry standards. Moreover, client can availed these product from us at competitive prices. 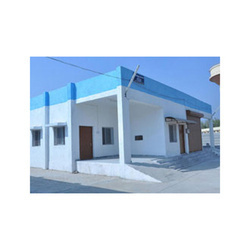 Our company is leading manufacturer of extensive array of Railway/ Telecom Shelter with the help of technical and engineering expertise. Our turnkey solution for the state of art is widely appreciated as we export shelters to Middle East, South East Asia, Sri Lanka, Bangladesh and Africa. These shelters are suitable and capable enough to withstand tough climatic conditions and protect sophisticated telecom equipment from moisture, air and dust. We can further modify and provide shelters that comply with any specifications by the customer.